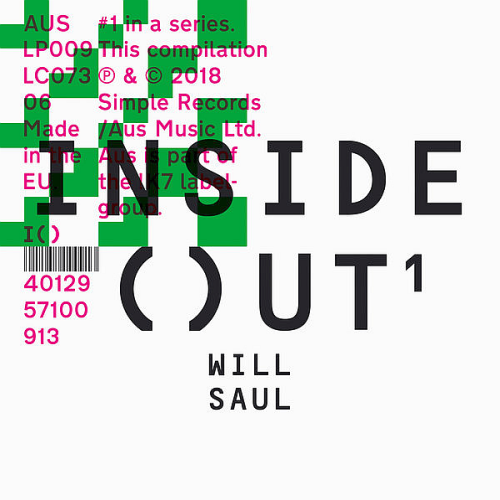 Date: 2.04.2018 | House, Techno, Minimal | Tags: Will Saul-Inside Out, Aus Music, Pearson Sound, Gerd, Falty Dl, Appleblim, Nathan Micay, Deadboy, Komon | Download Will Saul-Inside Out (2018) for free. A diverse collection Will Saul-Inside Out of electronic music tracks. Aus Music is the result of a fruitful union between Simple boss Will Saul and Ninja Tune artist Fink. Founding the label together, their aim was to release a more experimental and leftfield sound to its sister label, Simple Records. From the smokey dub of Sideshow, through to the layered, undulating techno of Sian via the heart warming, richly textured grooves of Lee Jones and his MyMy project, the label also frequently touches on dub-step and other bass-line driven rhythms, notably in the form of scene heroes Appleblim, Midland and Ramadanman aka Pearson Sound. Aus uniting qualities always remain constant: detail, musicality, lush melody, an irresistible groove and a healthy dose of dub.